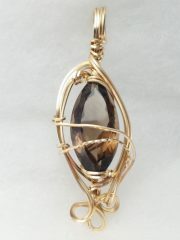 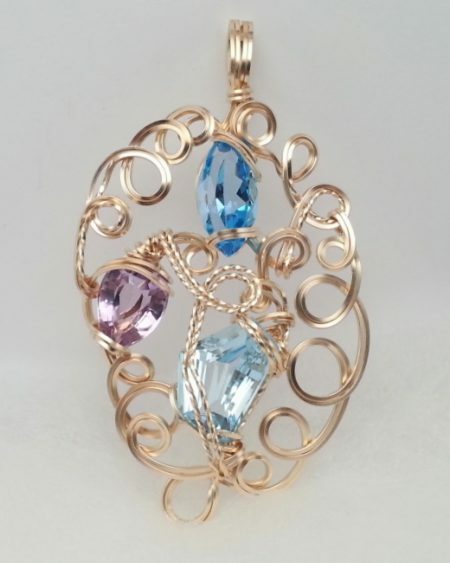 I designed this exquisite Sculptured 14 Karat Gold-filled Pendant using a 1.80 carat marquise cut Swiss Blue Topaz, a 9.20 carat Pentagon cut Sky Blue Topaz and a 3.70 Rose de France (fancy name for light amethyst) and 14 Karat Gold-filled wire. 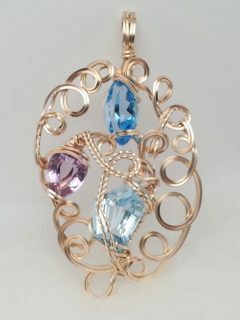 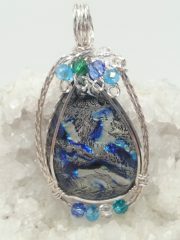 Purple of any shade and blue-greens are my favorite colors and I wanted to combine them in a pendant Using square and twisted wire, I created a very elegant, swirling, three stone pendant which measures 2 3/4″ long and 1 1/2″ wide. 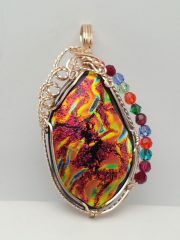 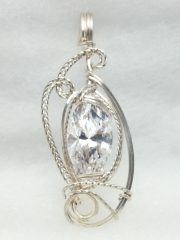 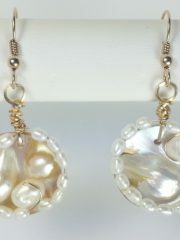 This is a statement piece if ever there was one and is definitely is a one of a kind as all my pieces are.